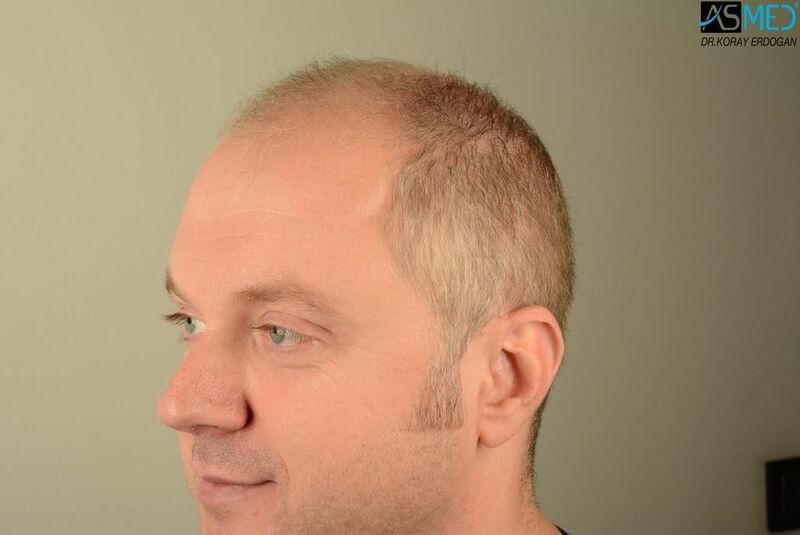 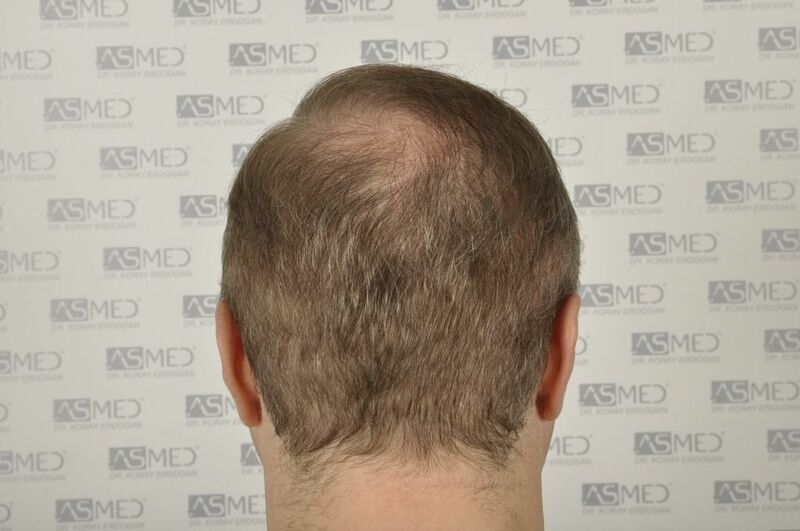 OPERATION DETAILS: 6008 grafts FUE extracted by manual punch, diameter 0.7 mm - 0.8 mm. 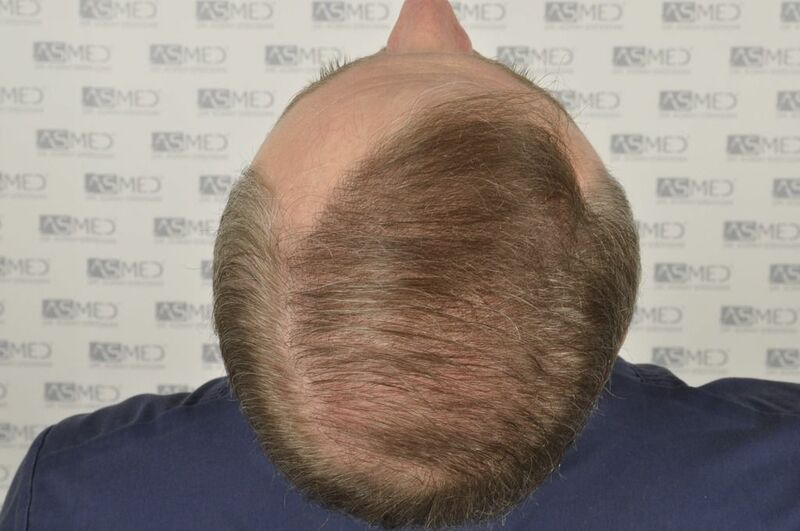 GRAFTS DISTRIBUTION: 6008 grafts were used to restore the patient’s frontal area (28cm2), mid scalp (50cm2) and vertex area (112cm2). 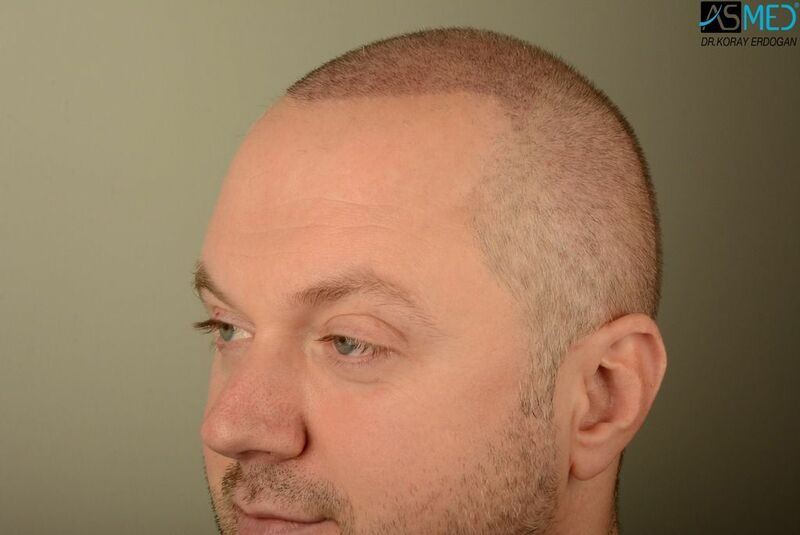 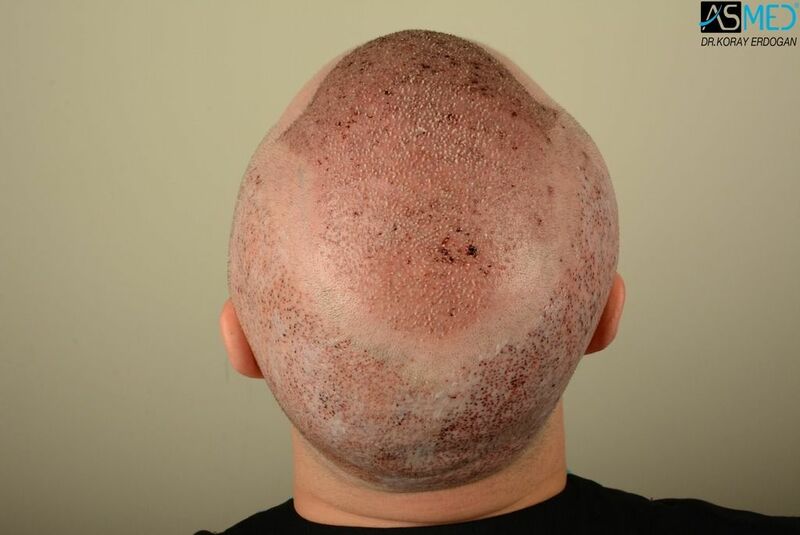 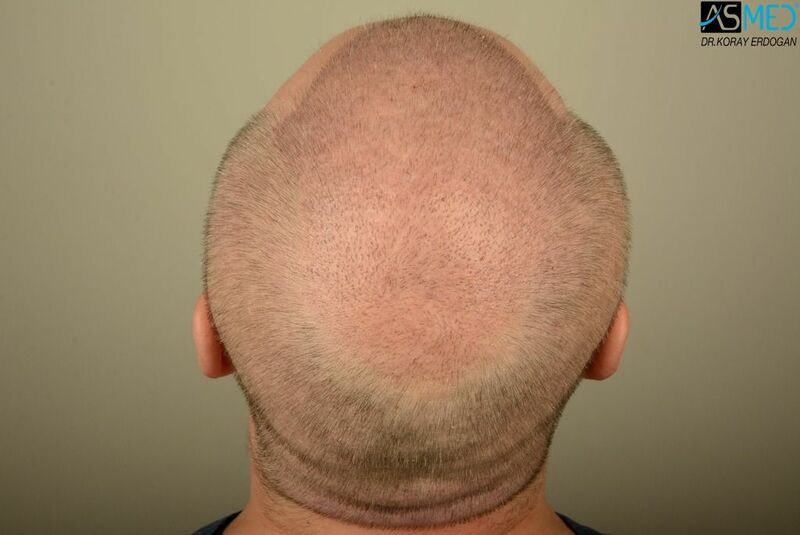 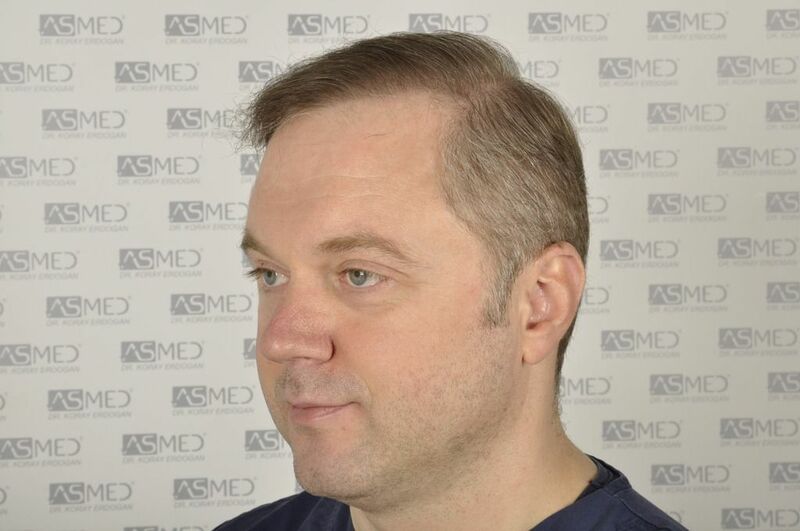 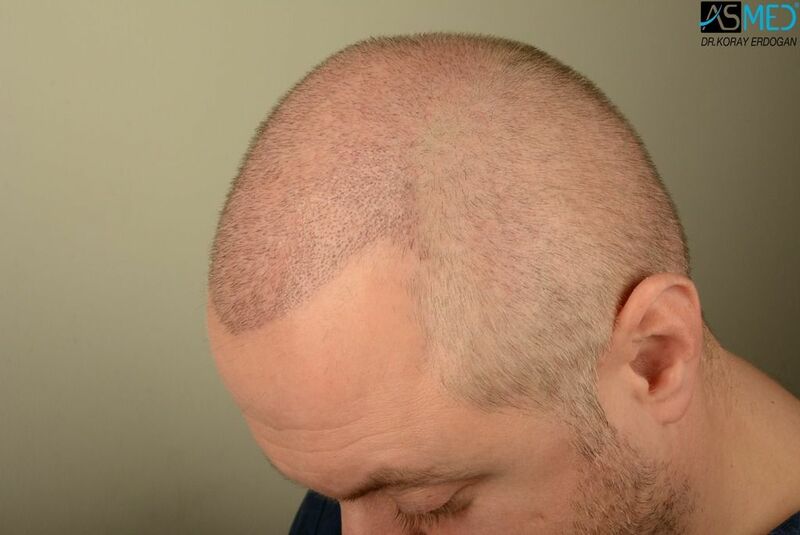 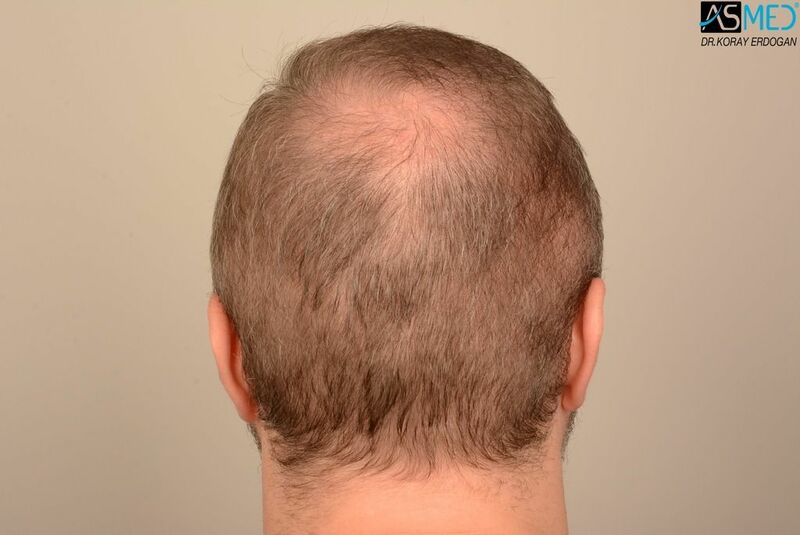 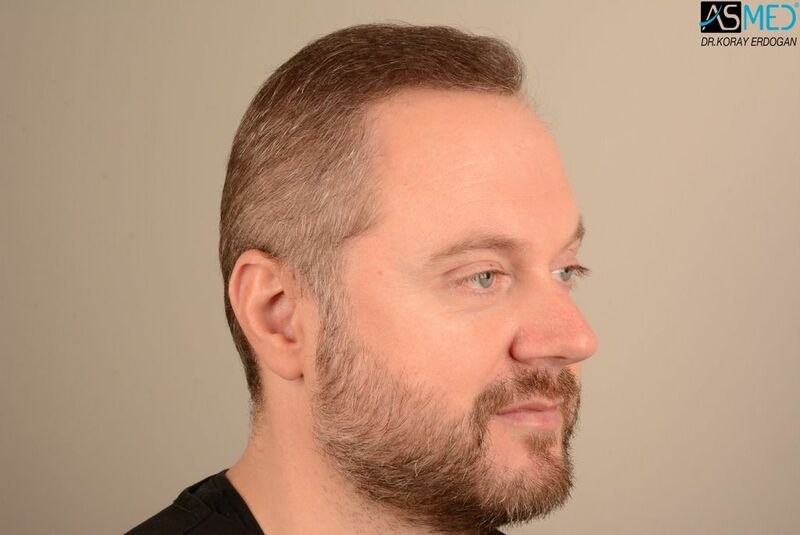 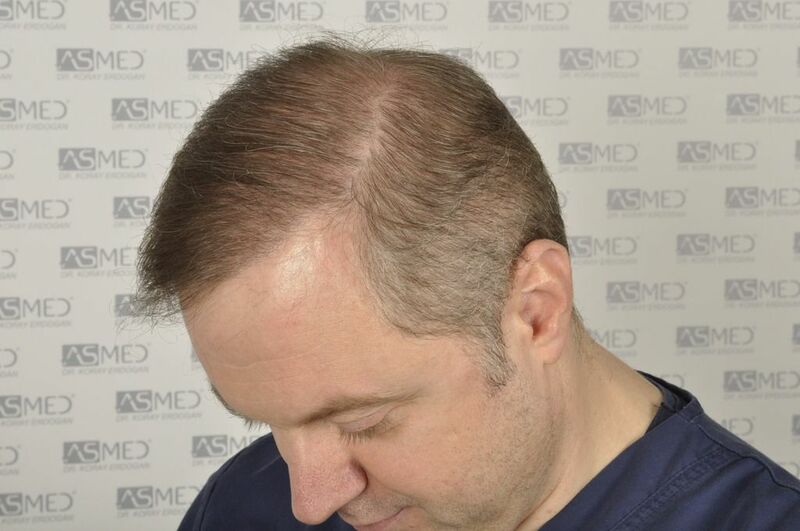 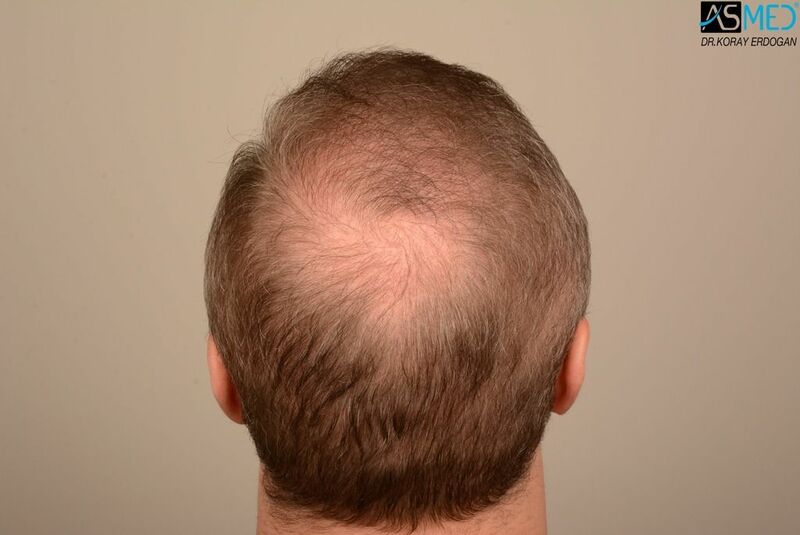 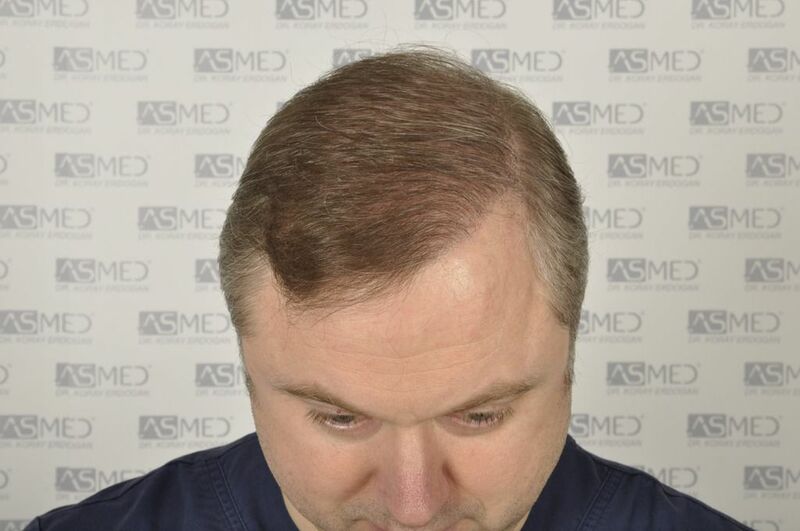 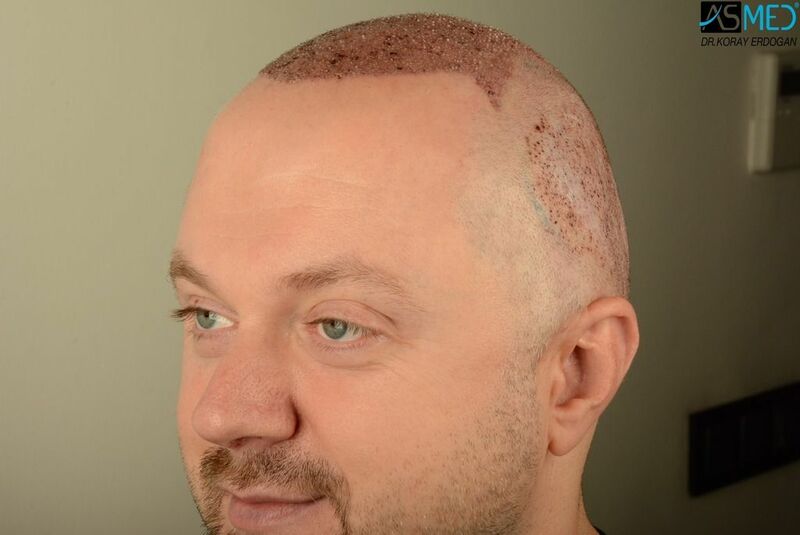 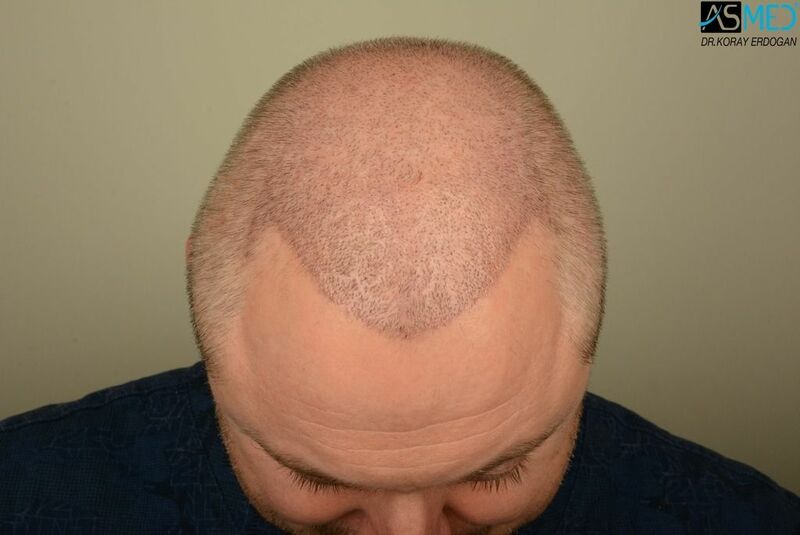 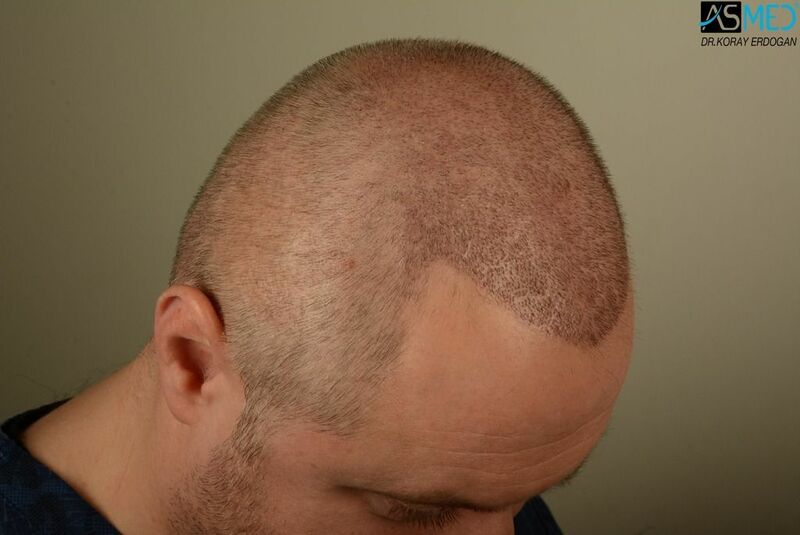 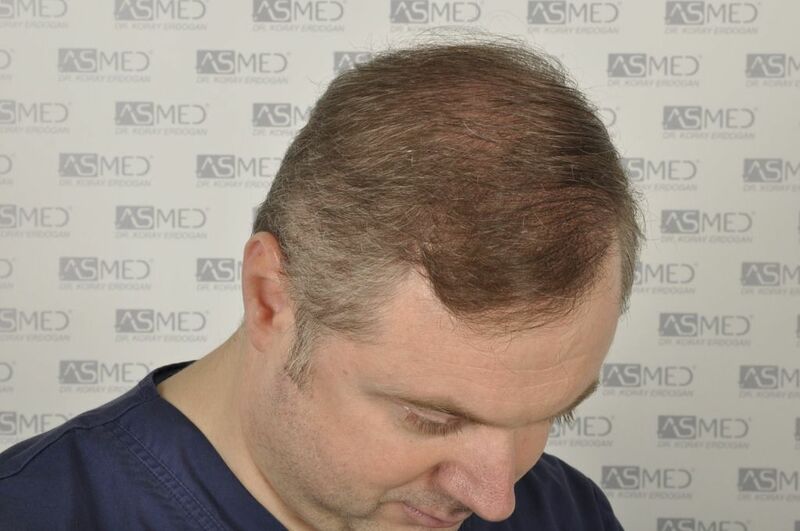 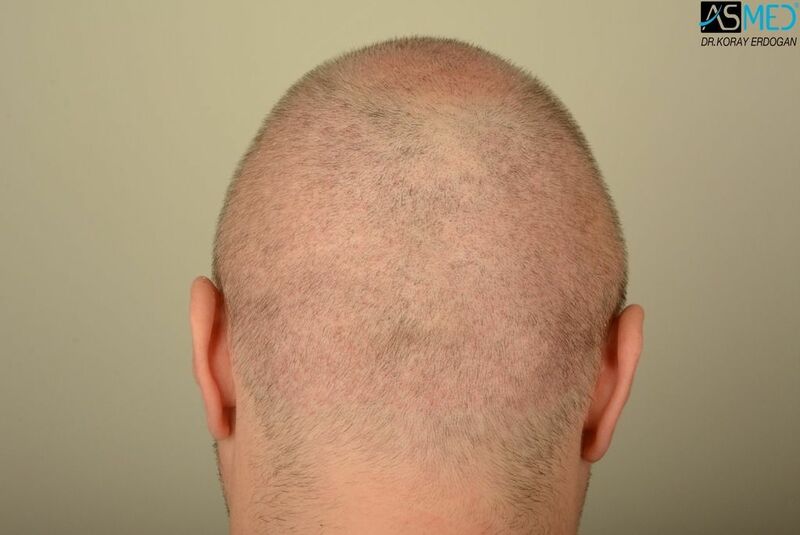 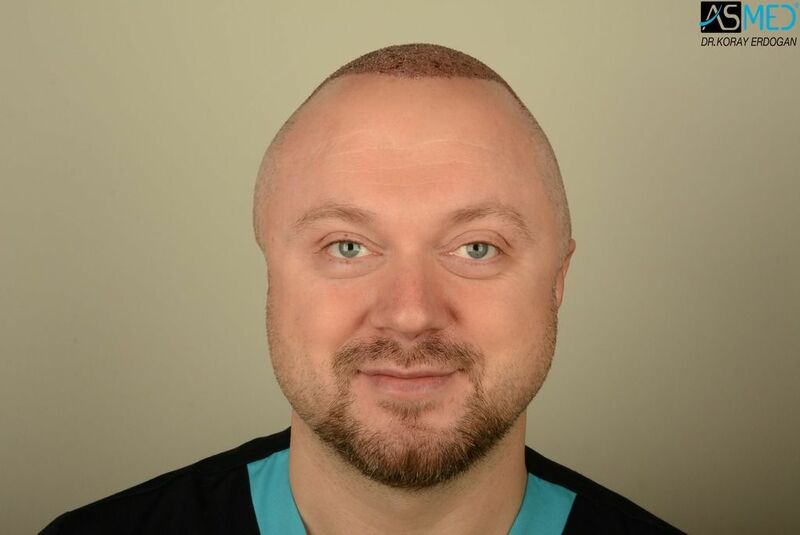 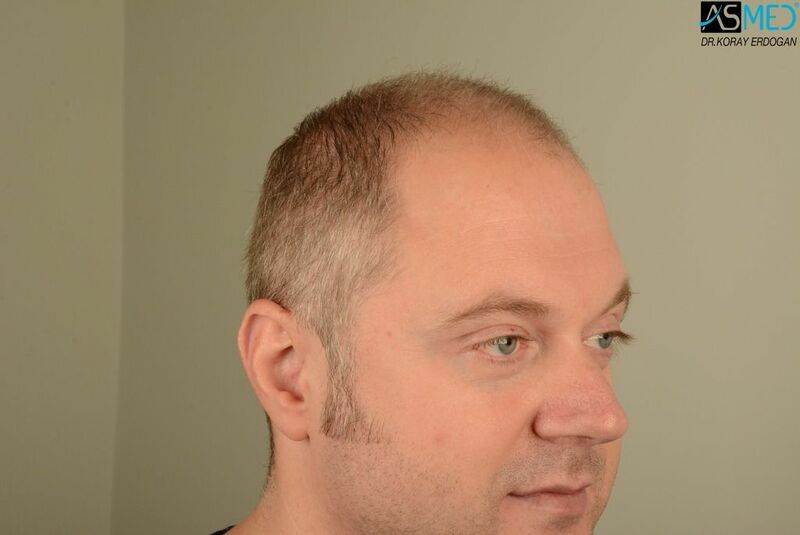 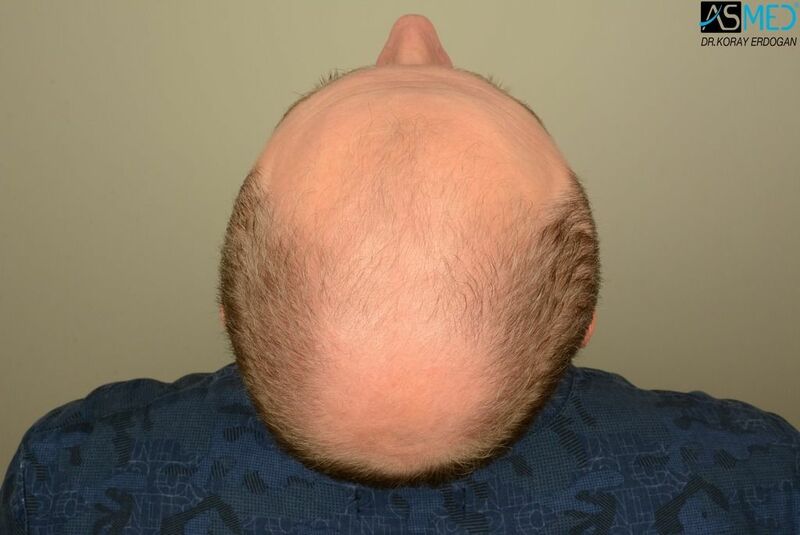 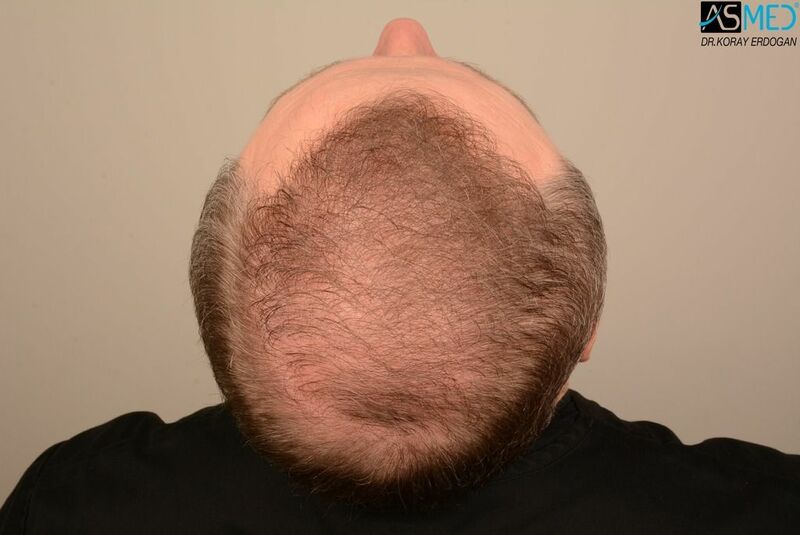 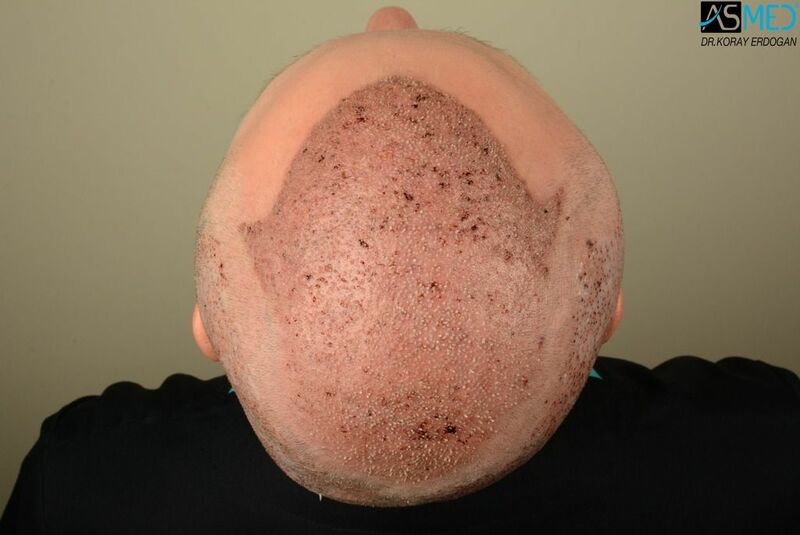 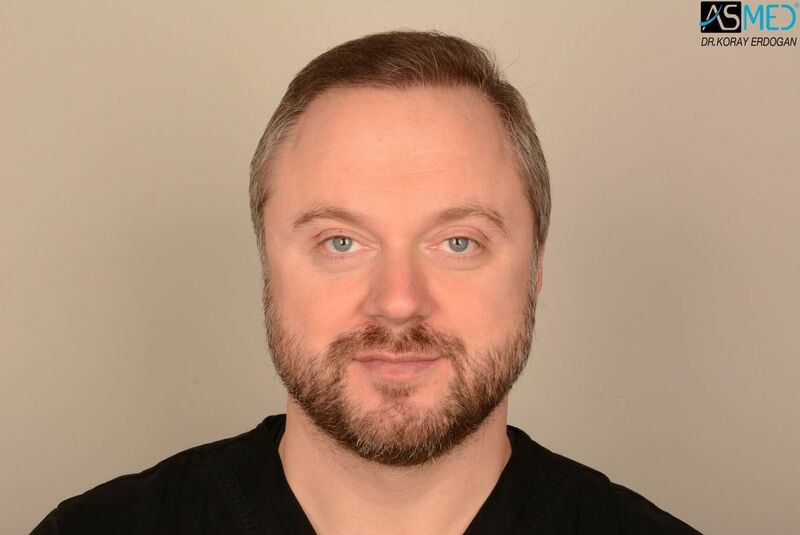 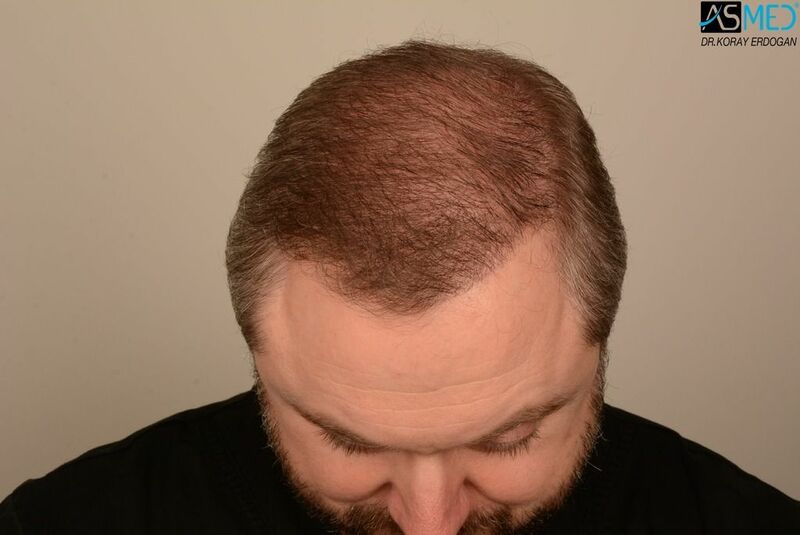 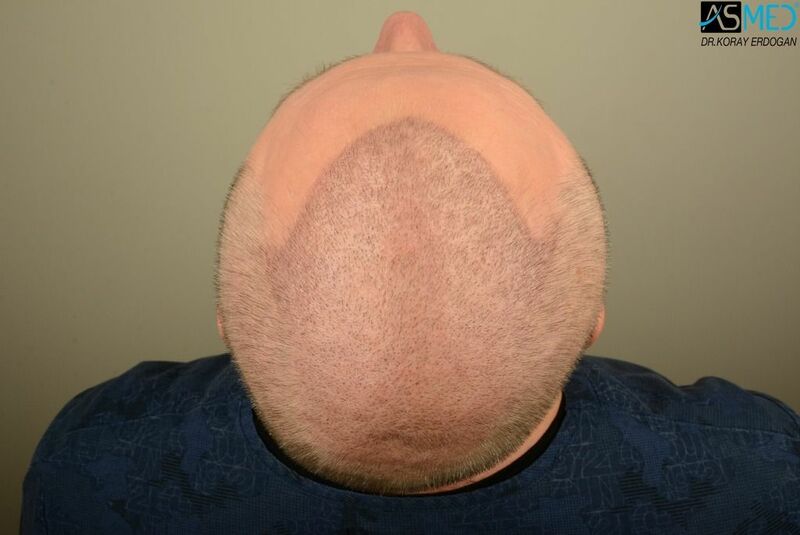 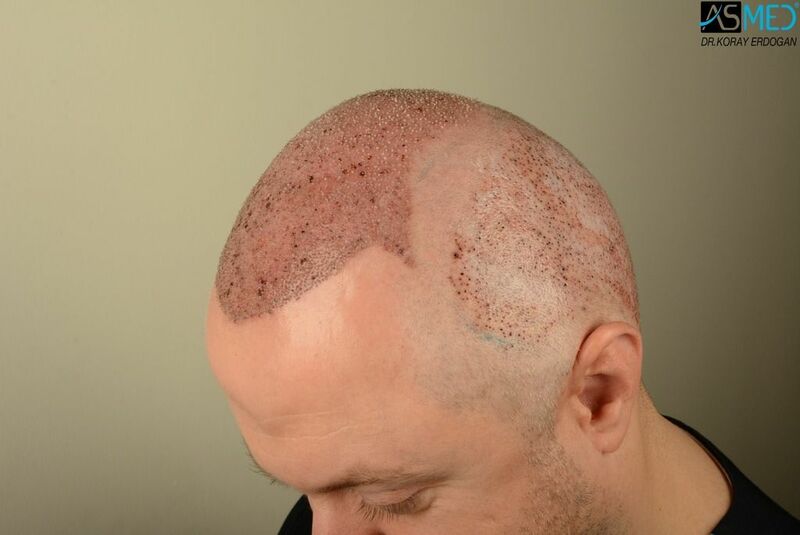 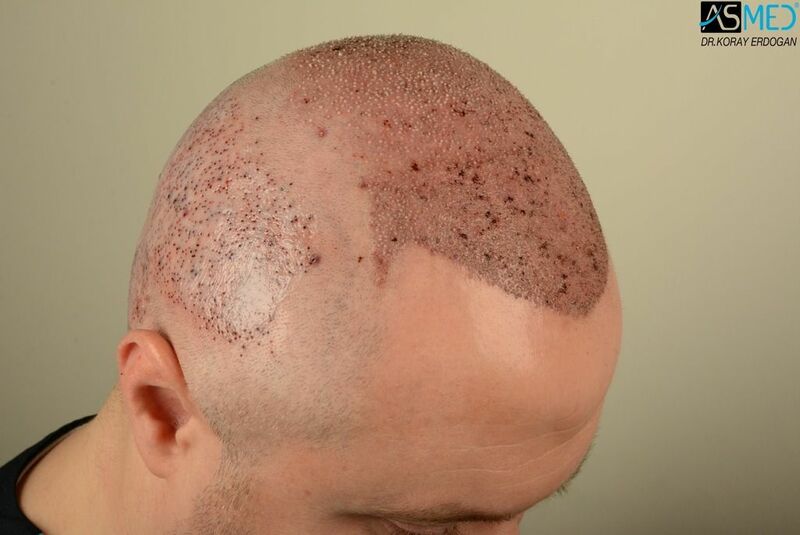 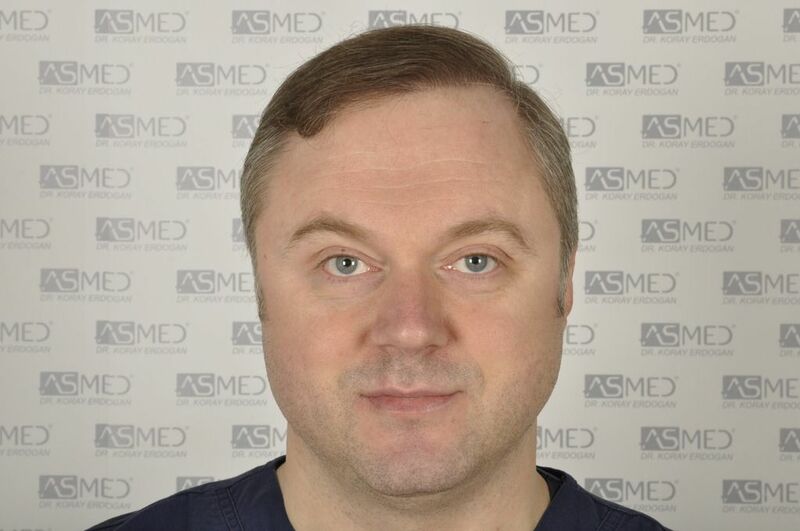 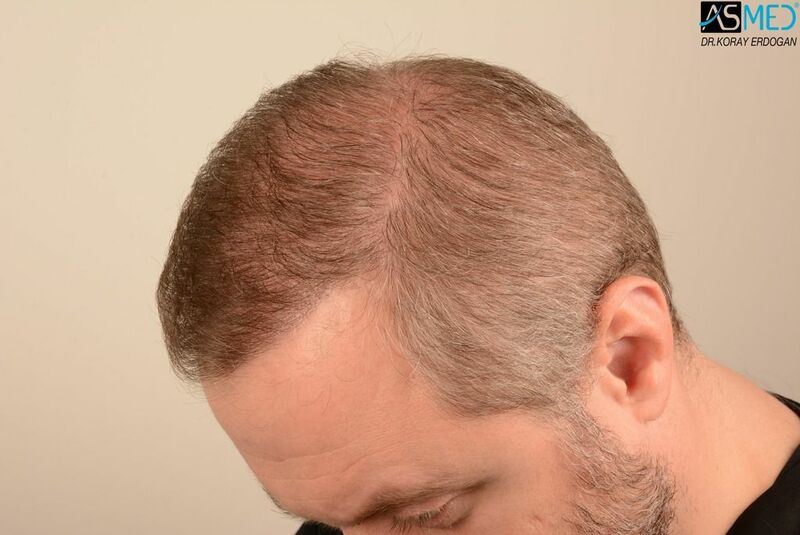 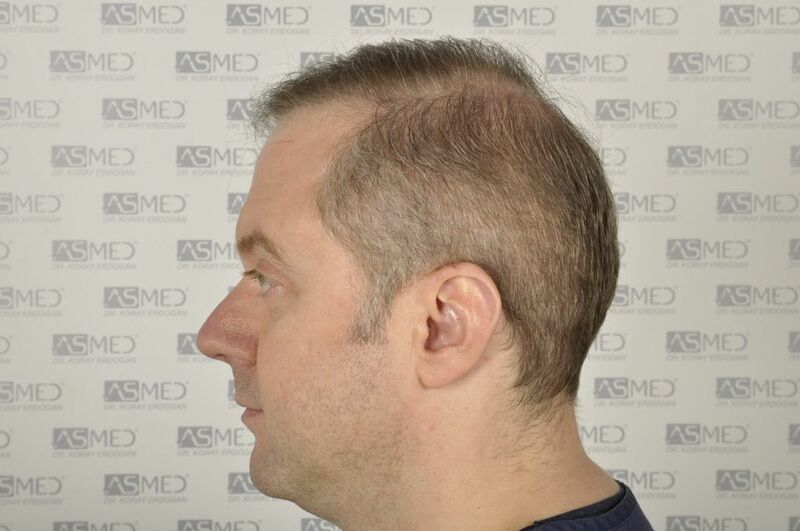 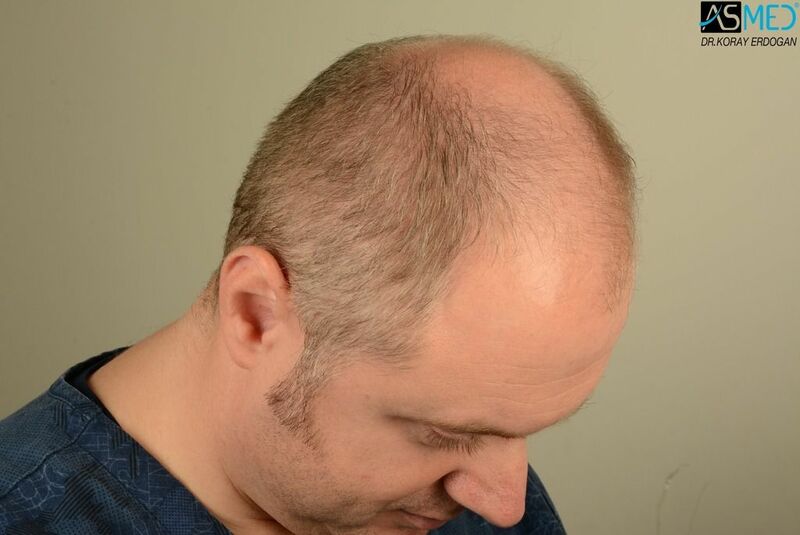 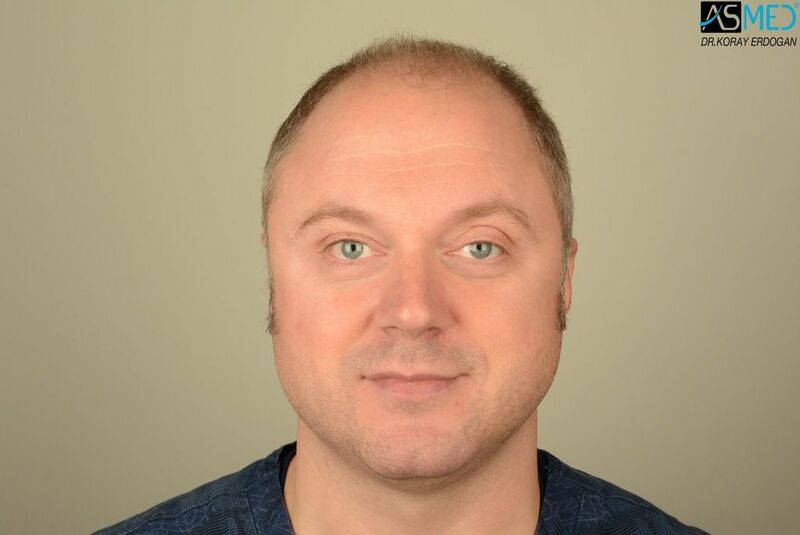 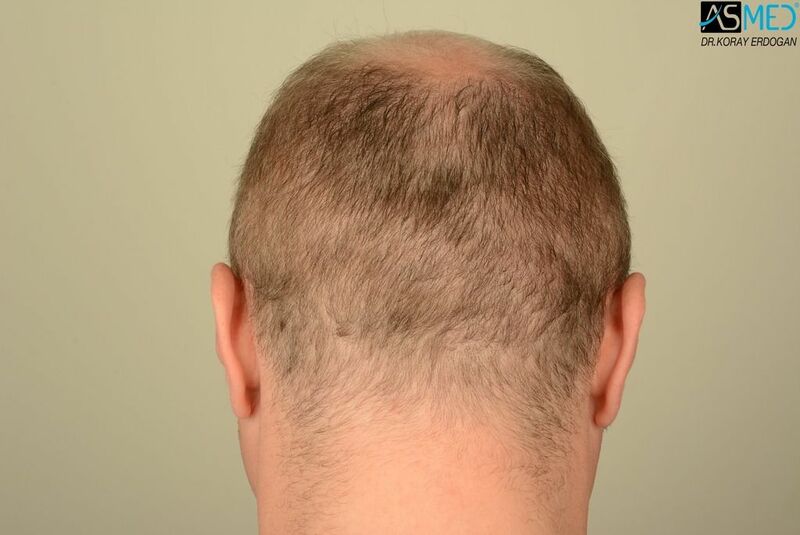 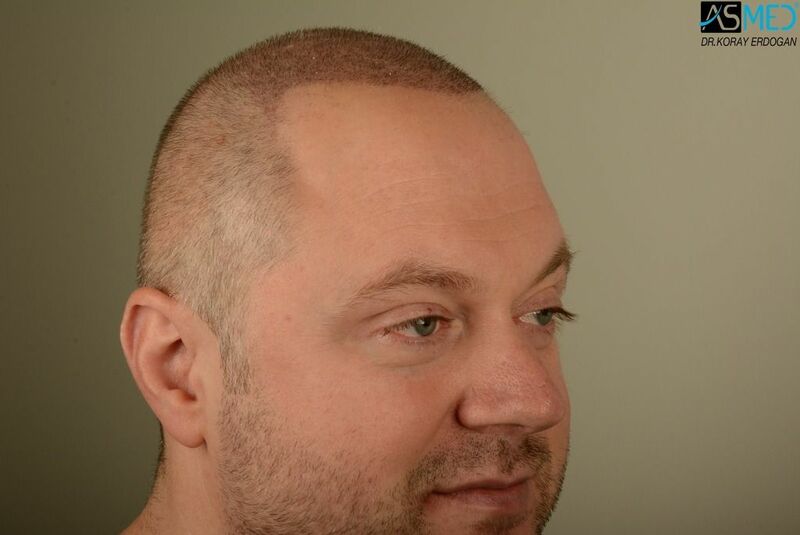 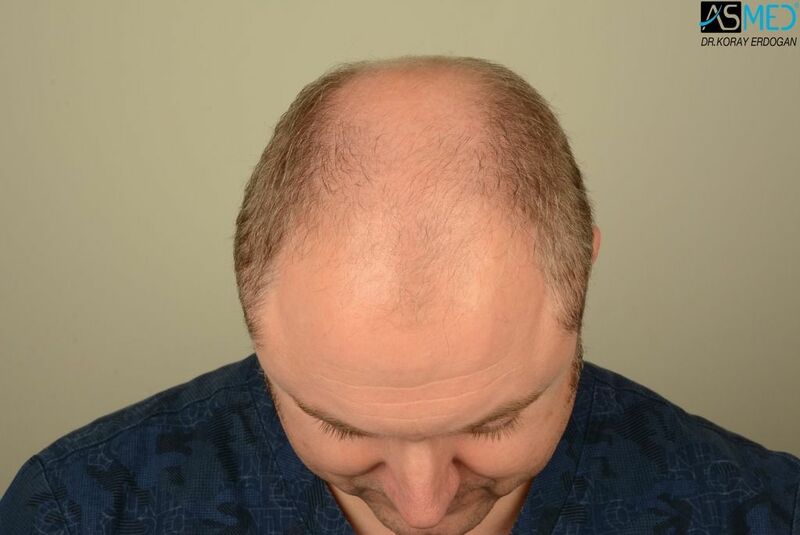 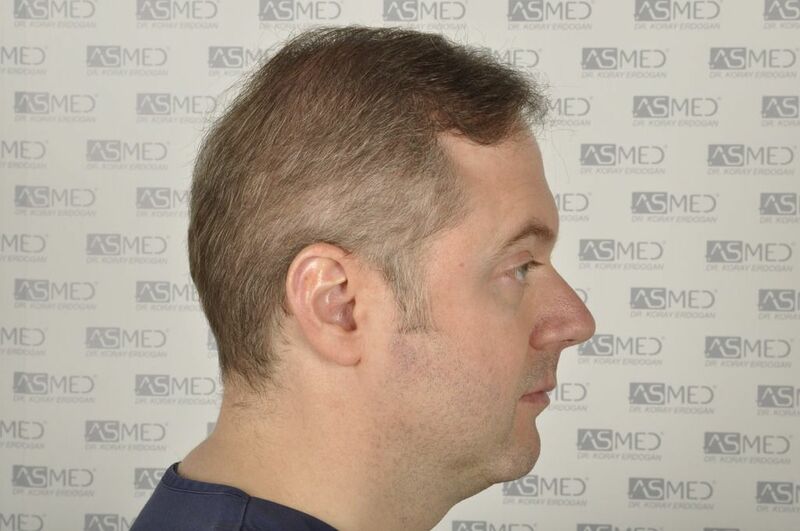 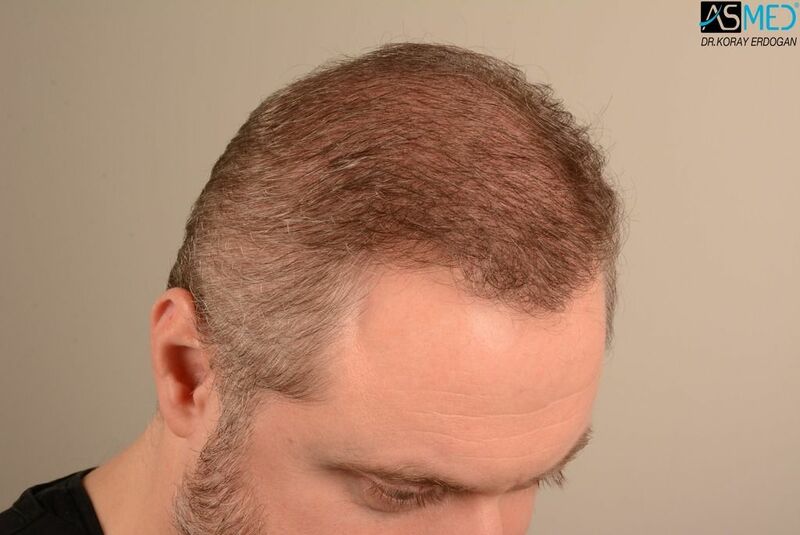 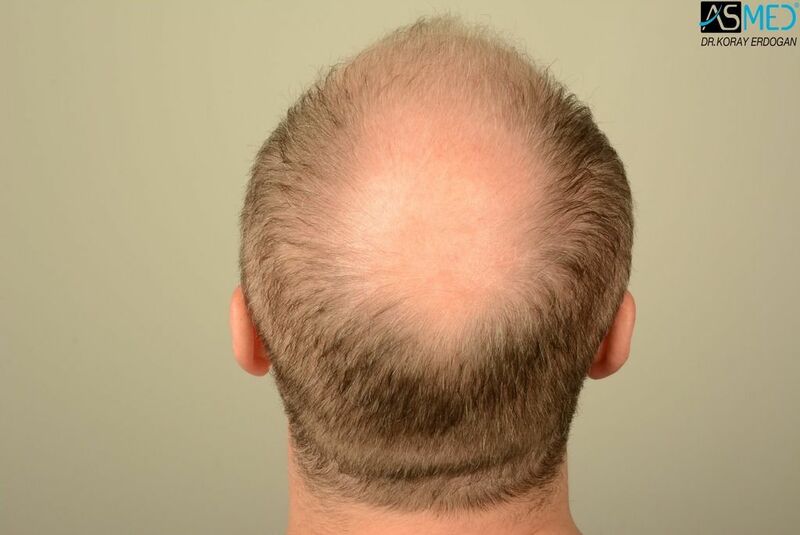 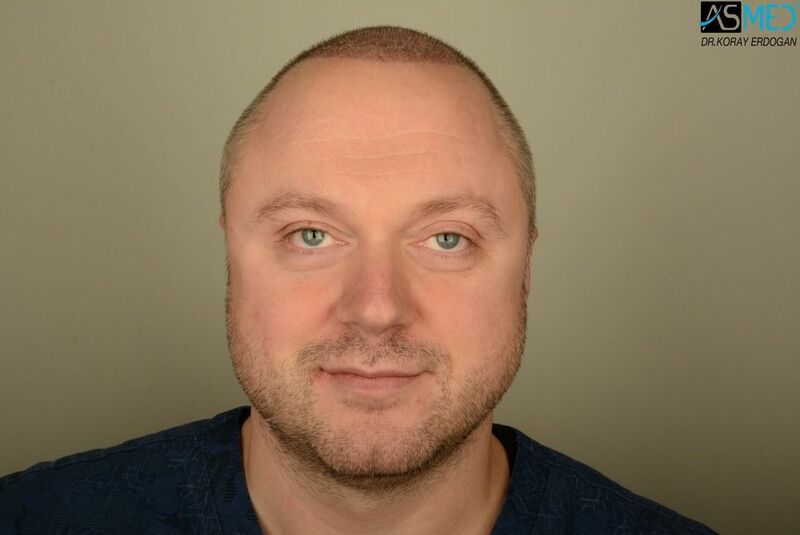 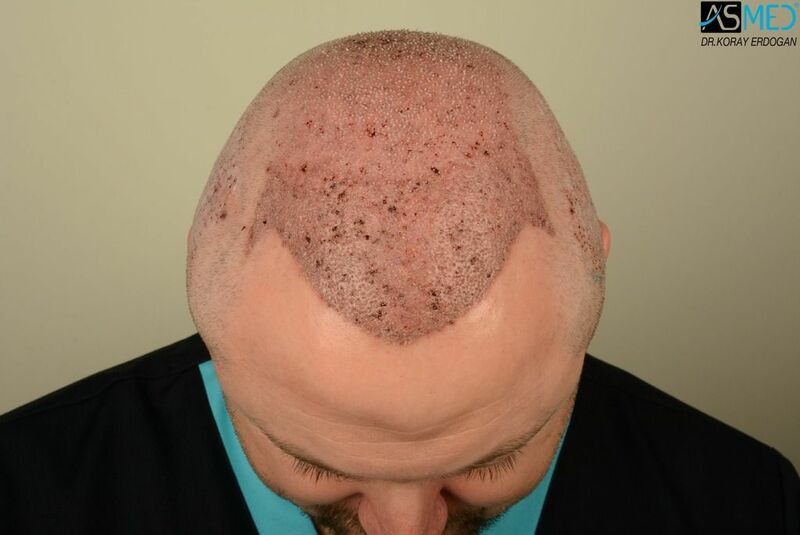 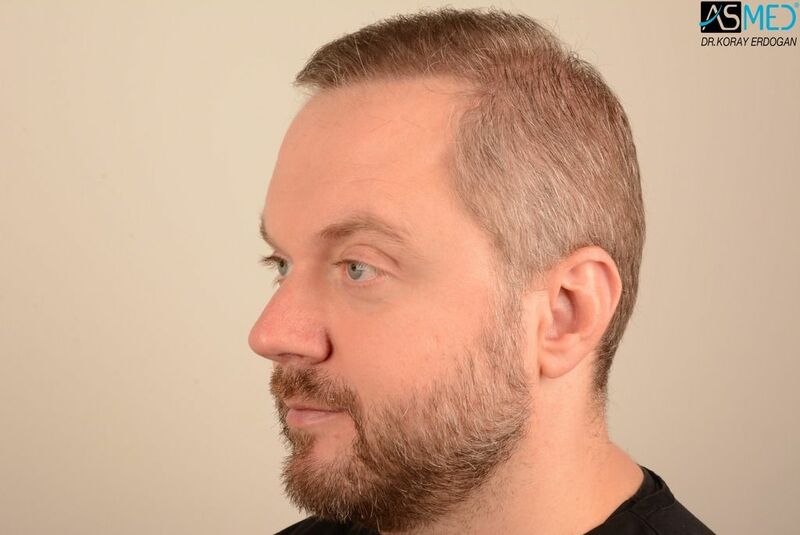 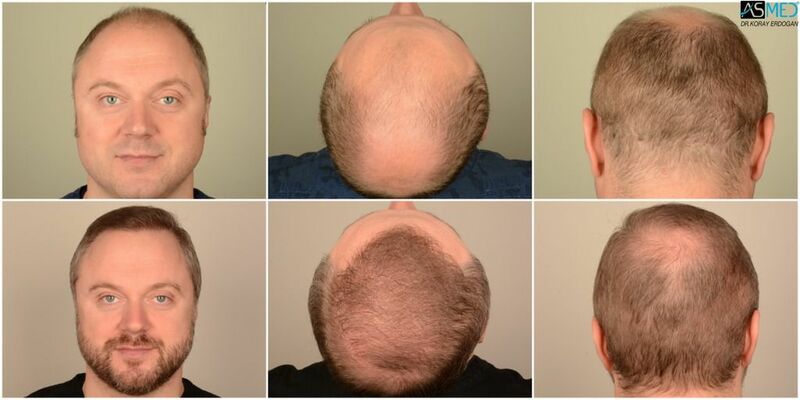 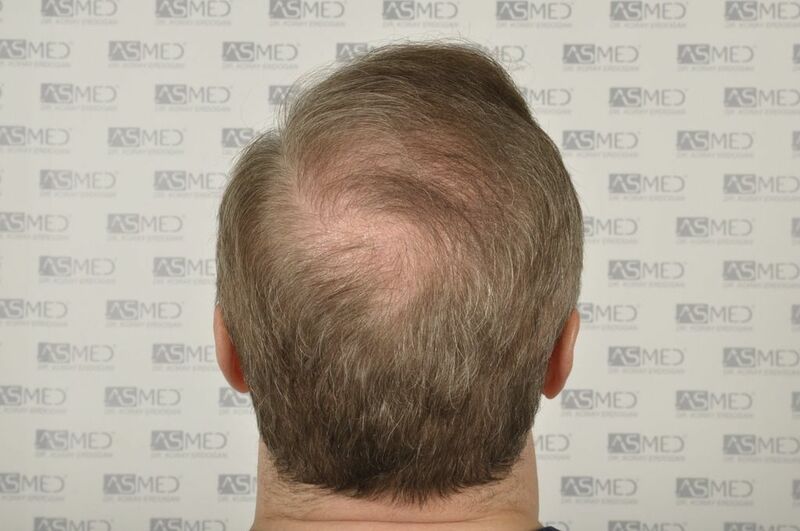 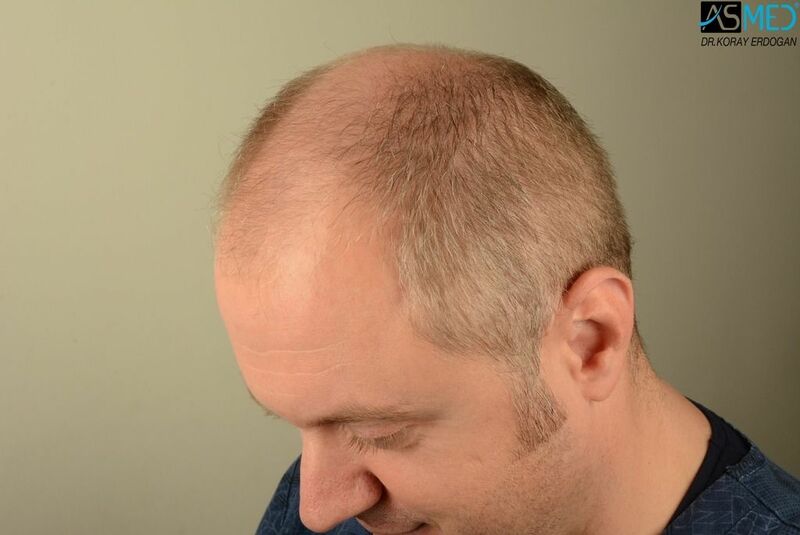 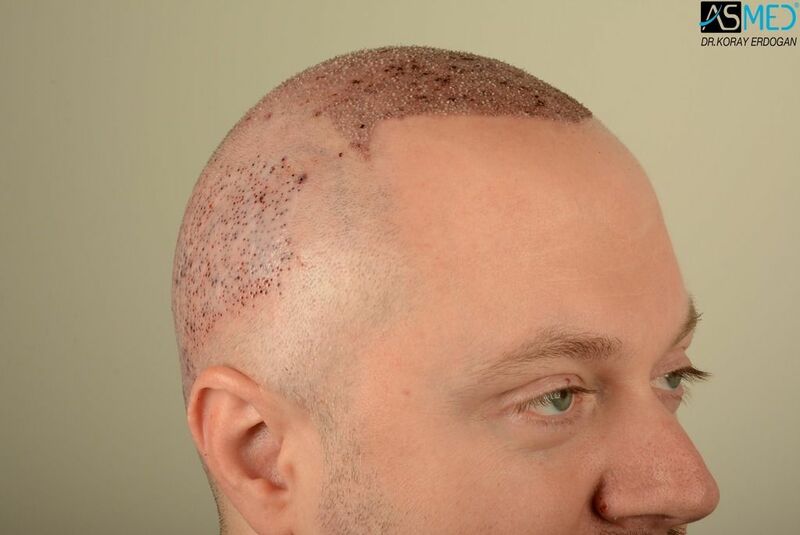 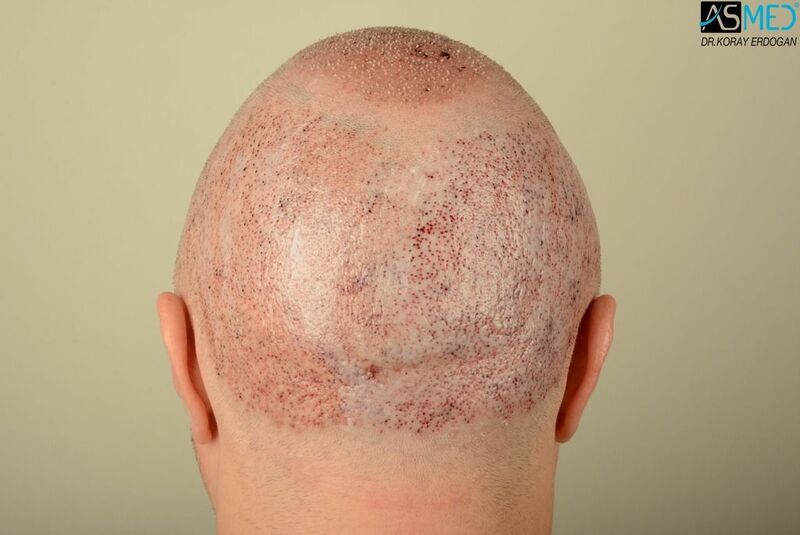 FINASTERIDE: The patient had started to use finasteride 4 months before the surgery and had been using for 6 months after the surgery and stopped it. 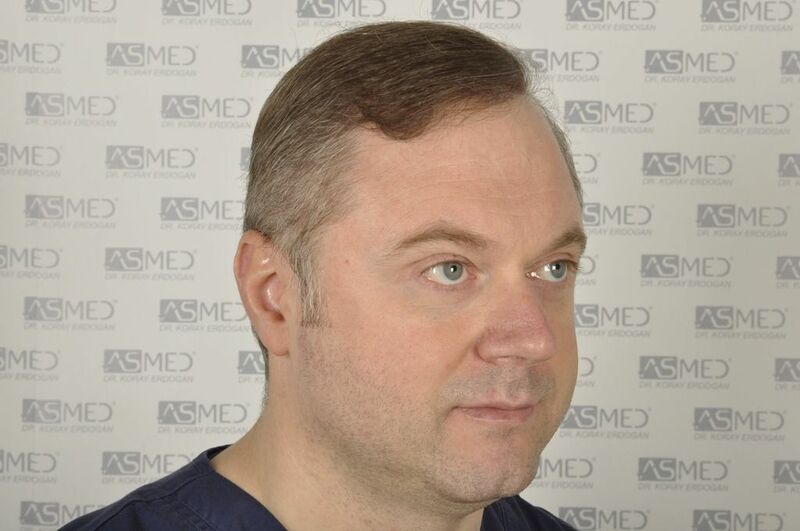 Please note that the “RESULT” pictures were taken in Asmed Clinic.